The Galerie Colbert is a roofed passageway in the 2nd arrondissement in Paris, accessible via 6 rue des Petits-Champs and via 2 rue Vivienne. 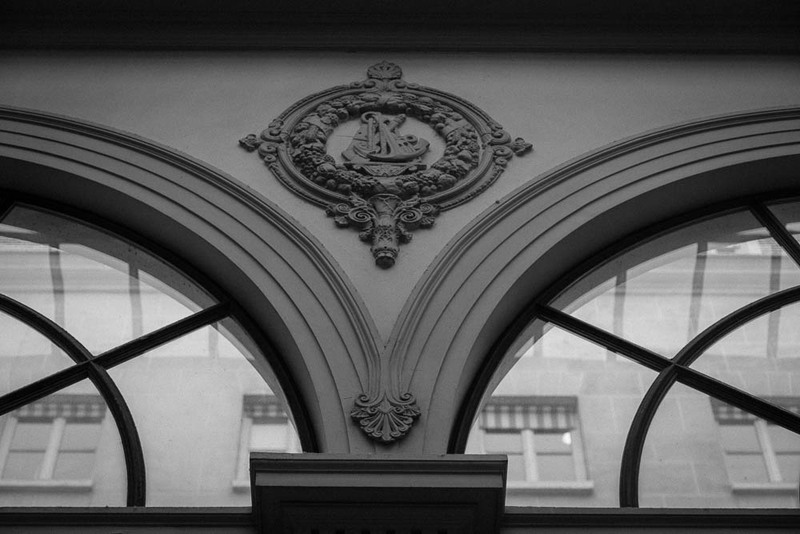 It is property of la l'Institut national d'histoire de l'art, it houses numberous institutes linked to Art history and cultural heritage 1). 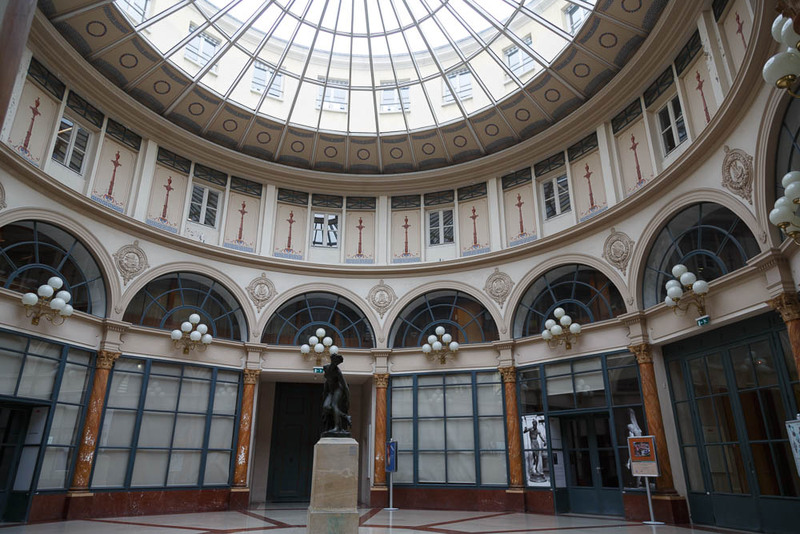 The Galerie Colbert is constructed in 1826 as a competitor of the galerie Vivienne. Adjacent to the latter, it has not been as successful. After renovation in the 1980s, it was bought by the National Library of France and then devolved to the National Institute of History of Art and home to many institutions linked to the history of art and cultural heritage 2). In the arcade there is a room dedicated to Walter Benjamin. 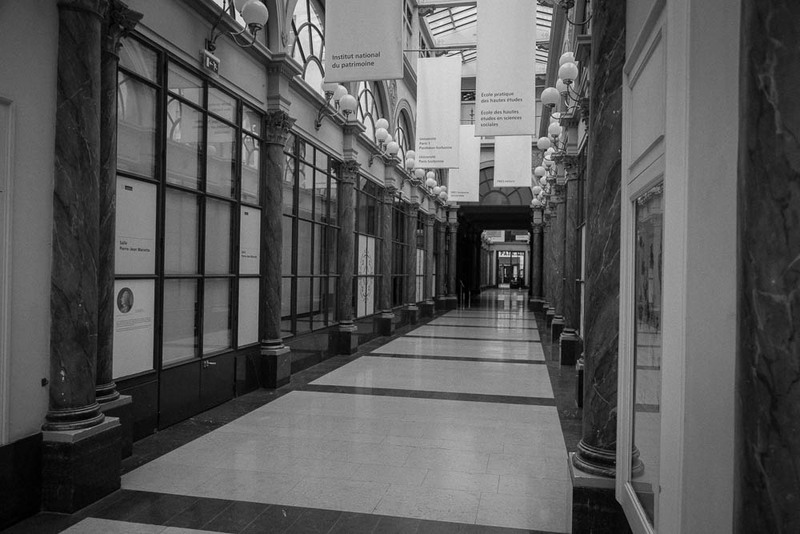 Galerie Colbert is one of the passages mentioned by Kârinh in Revoir Paris 3).